In what is sure to come as happy news for passengers from India, Qatar Airways has introduced a new system by which they can pay for their tickets in easy monthly instalments. The system, which was only recently introduced, will let passengers pay for their tickets in easy monthly instalments of three, six, nine or 12 months duration, reported India-based The Hindu newspaper. The newspaper reported that the scheme would be available for customers with credit cards issued by Indian banks. “The service aims to ease and enhance passengers’ travelling experience by making their booking transactions much more affordable and flexible. Only a minimum instalment fee needs to be paid to complete the purchase,” an airline official told The Hindu. Qatar Airways, on its official website, has written this about the new payment system. 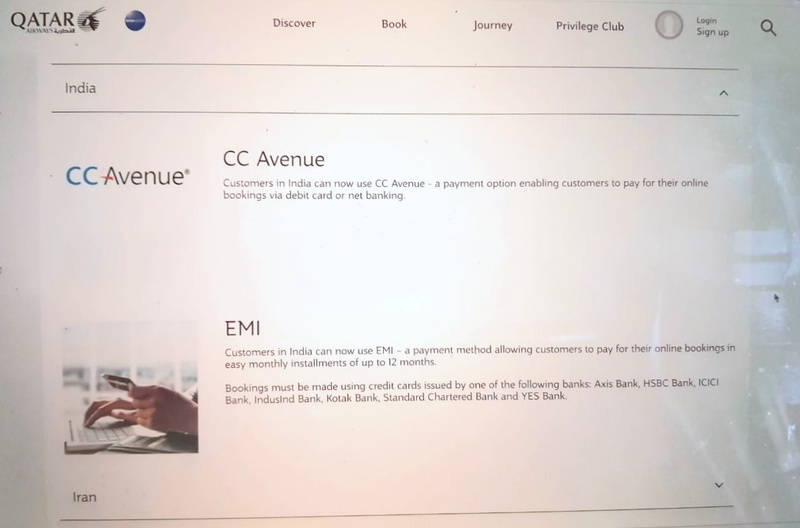 “Customers in India can now use EMI — a payment method allowing customers to pay for their online bookings in easy monthly instalments of up to 12 months. Bookings must be made using credit cards issued by one of the following banks: Axis Bank, HSBC Bank, ICICI Bank, IndusInd Bank, Kotak Bank, Standard Chartered Bank and YES Bank,” the statement said. Naveen Chawla, Qatar Airways’ Senior Manager Commercial–ISC, said the launch of the new EMI option gave their passengers tremendous benefits. “Through this new user-friendly and affordable payment scheme, passengers with credit cards issued by Indian banks will now have greater flexibility when it comes to planning their travel itinerary. Those who previously couldn’t book online due to their credit limit or a large outstanding balance will now be able to pay for their bookings effortlessly using their credit card,” he was quoted as saying by The Hindu. Qatar Airways currently operates 102 weekly flights between Doha and 13 destinations in India including Ahmedabad, Amritsar, Bengaluru, Chennai, Delhi, Goa, Hyderabad, Kochi, Kolkata, Kozhikode, Mumbai, Nagpur and Thiruvananthapuram.